Seven months after Macedonia declared its independence from Yugoslavia, the Army of the Republic of Macedonia (ARM) was established on April 10, 1992. The development of the Macedonian Air Force and Air Defence Forces started from scratch because the former Yugoslav Army had taken all the weapons and equipment which Macedonia had accumulated, including 35 aircraft like the J-22 Orao and J-21 Jastreb. 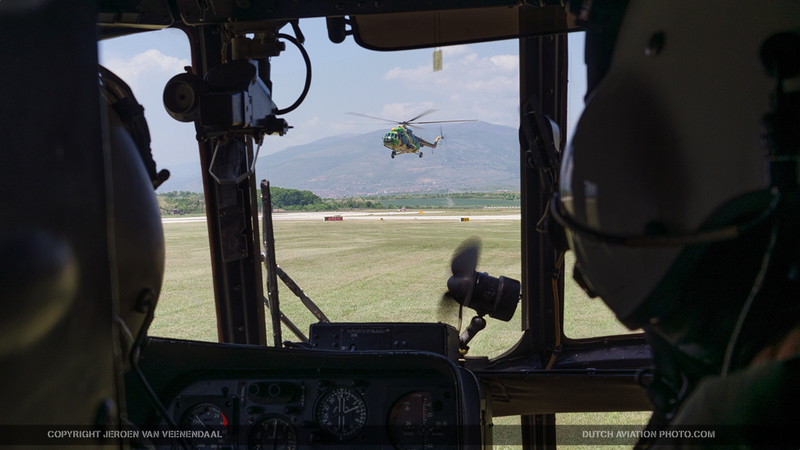 On June 10, the first air force (officially named the Aviation Brigade of the Army of the Republic of Macedonia) flight took place using a UTVA 75A 21 basic training and utility aircraft that was leased from the Macedonian Aeronautical Union. Because of this historic fact, this date is now celebrated as the Day of the Air Force. We spoke to Colonel Robert Malezanski, commander of the air force brigade. 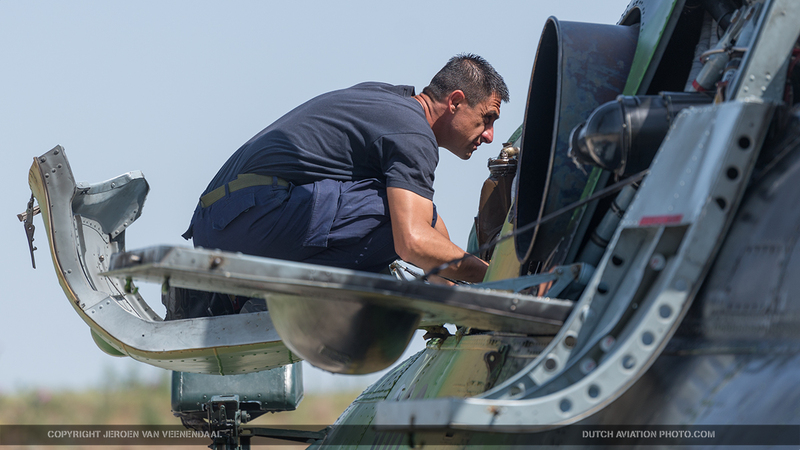 He has flown Mig-21 and Super Galeb before returning to Macedonia to be an instructor on the Zlin 242. 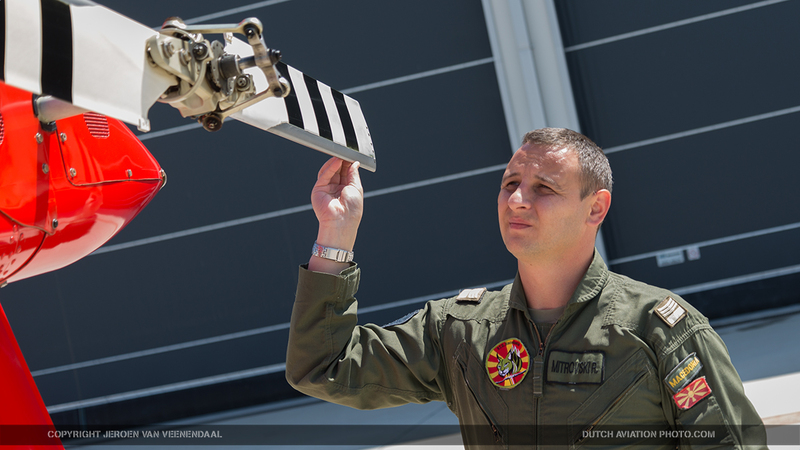 He tells us about the history of the squadron: “The air force was formed with a combat helicopter squadron, a transport helicopter squadron and an aviation squadron for fixed wing. 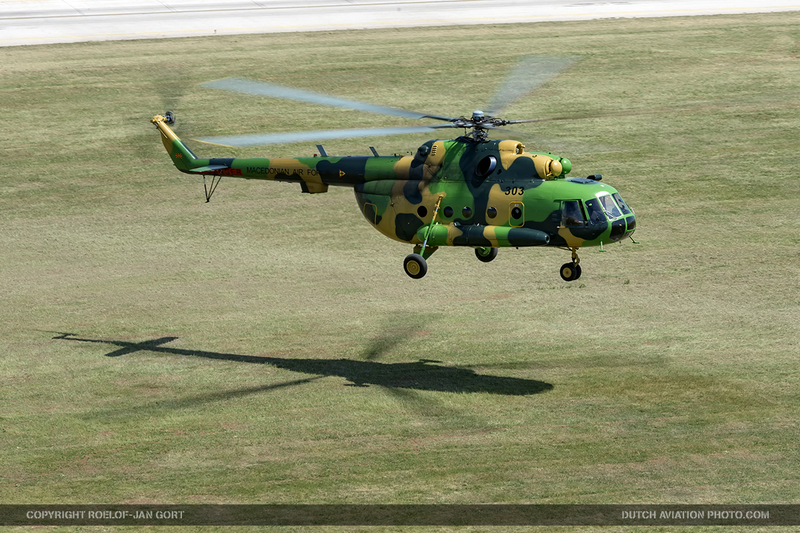 The first helicopters, Mi-17 were bought in 1994. They were white ones because, at that time, the United Nations Security Council (UNSC) imposed an embargo from purchasing weapons and military equipment. 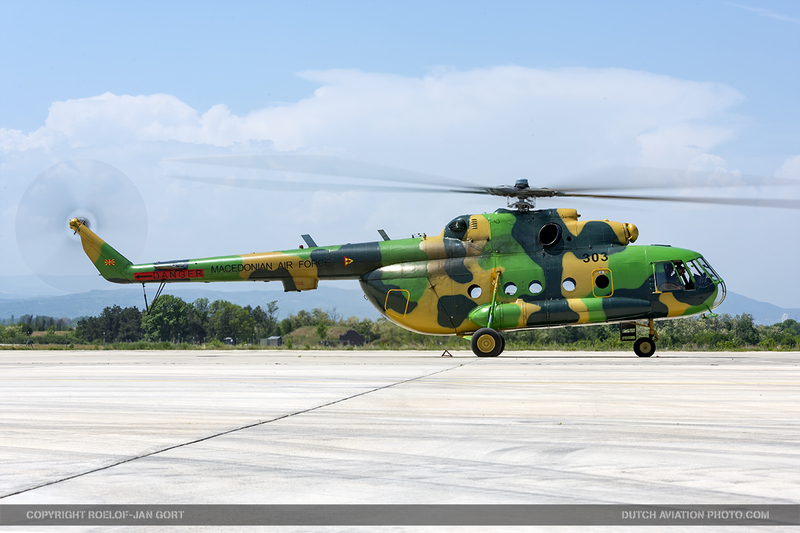 But because the Mi-17 is the civilian version of the Mi-8, they could be purchased.” The embargo was lifted in 1995, and the white Mi-17s were painted in their distinguishable camouflage patterns and were provided with military serial numbers. In February 2001, a militant group called the Albanian National Liberation Army (NLA) began attacking the security forces of the Republic of Macedonia. In order to increase its capabilities during this conflict, the air force fleet was substantially expanded in a short amount of time. The first big-quantity delivery of new aircraft to the Macedonian Air Warfare and Air Defence Forces was made on March 23. 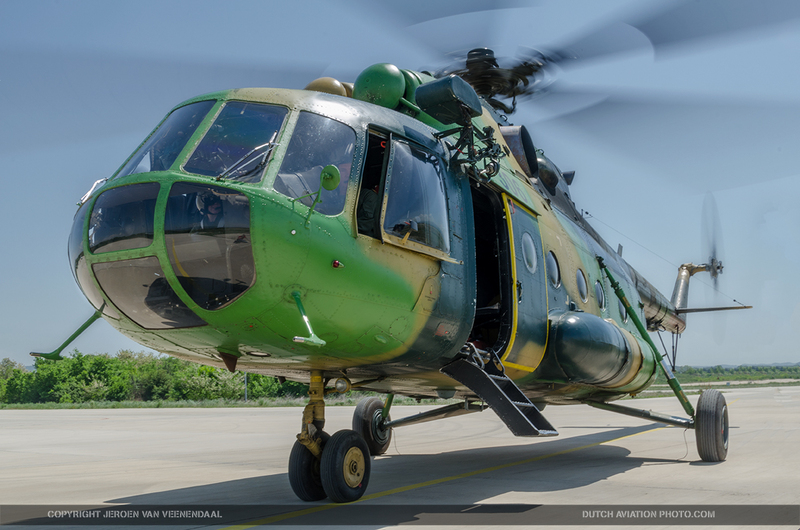 That day, Ukraine donated four Mi-8MT combat helicopters, that served with Ukrainian contingent of KFOR to Macedonia, and as a part of old agreement delivered additional two Mi-24V Hind-E combat helicopters. 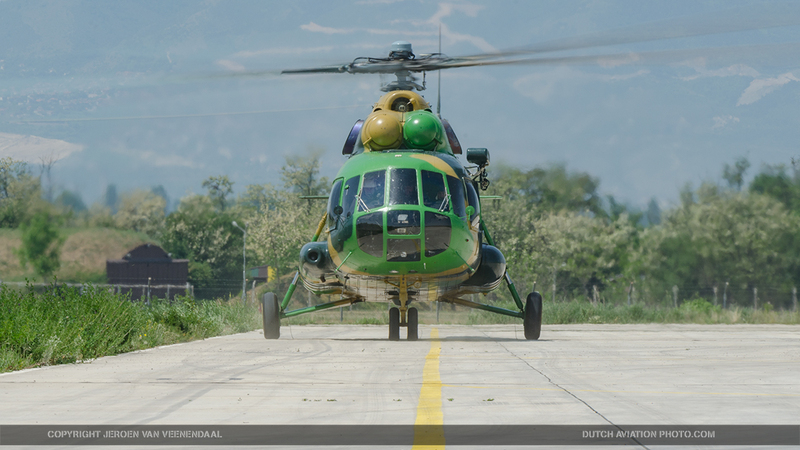 Solidarity of Greece with the Macedonian Government was also shown that day with the delivery of two UH-1H Huey helicopters to the Macedonian Air Warfare and Air Defence Forces. Later that year eight more Mi-24’s followed from Ukraine. 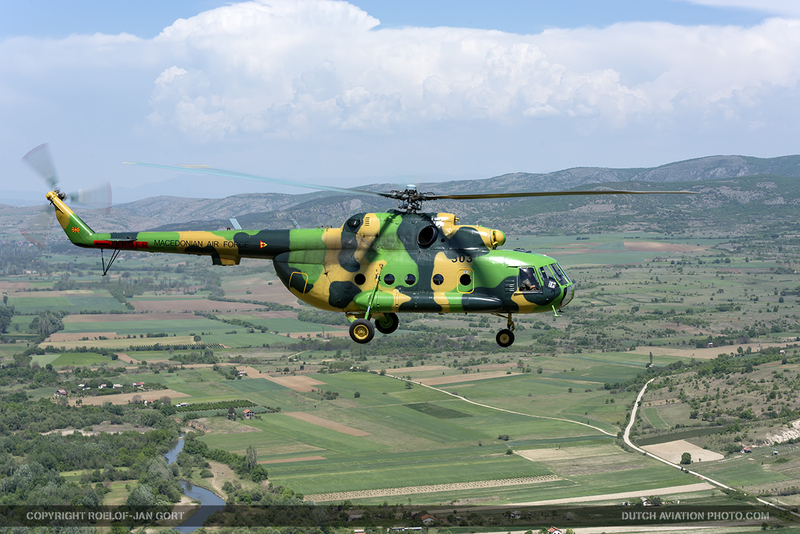 In December 2001, the Macedonian Air Force received two Mi-24K Hind-G2 (photo-reconnaissance and artillery spotting version of the Mi-24) helicopters from Ukraine. The Ohrid Framework Agreement, which was signed on 13 August 2001, made an official end to the armed conflict. In the succeeding years, the Air Brigade was reorganized. The former Greek UH-1s were taken out of service. One of the helicopters was flown to Greece for a major overhaul but is stored at Stefanovikio in Greece due to financial restraints. 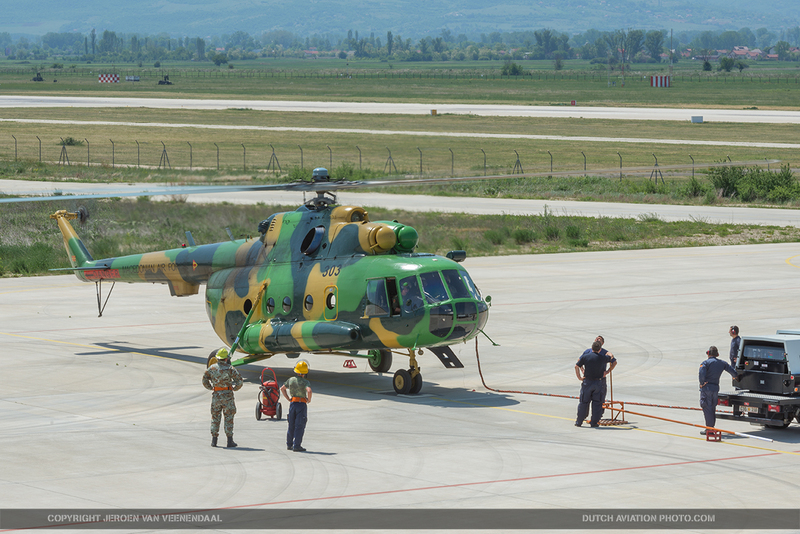 The other aircraft has been stored at Skopje Air Base for several years now. Near Skopje, the capital of Macedonia, is Alexander the Great Airport. Part of this international airport is built as the republic’s only military air base, Petrovec. The air base houses the Combat Helicopter Squadron and the Transport Helicopter Squadron as well as the Pilot Training Center and Technical Maintenance Center. A lot of missions are flown in cooperation with special forces. Fast roping techniques, infiltration, and exfiltration techniques are trained, as well as parachute training with the special units. Maintenance is done on base at Skopje-Petrovec as well, but the budget is tight. Colonel Malezanski explains that there are three stages of maintenance: “On these types of helicopters, the first level of maintenance is done at the squadron, the second level is done at the maintenance squadron, and the third level of maintenance is the overhaul, generally in the overhaul factory.” During our visit, the Mi-24s were in overhaul in the AVIAKON Aviation Repair Facility located in the town of Konotop in Ukraine. 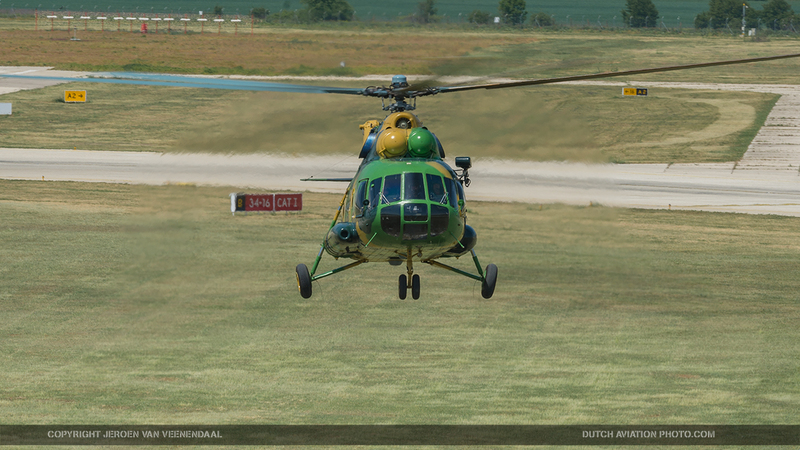 Training of the Mi-8 and Mi-17 pilots also takes place on the air base. 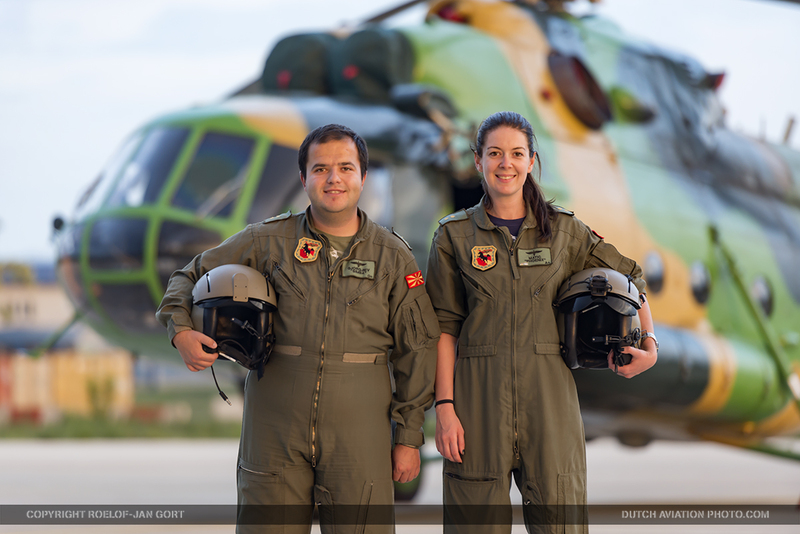 ELMAK (Elbit Macedonia) has won a 43 million euro ($61 million) deal to set up a helicopter pilot training facility for Macedonia’s military and police. 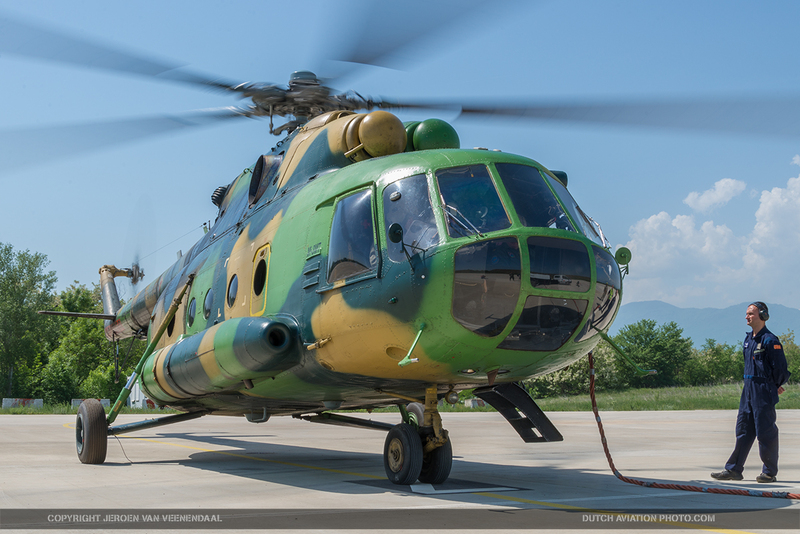 Elbit does more in Macedonia however, they also started with modernization programs for the Mi-24 & Mi-17. 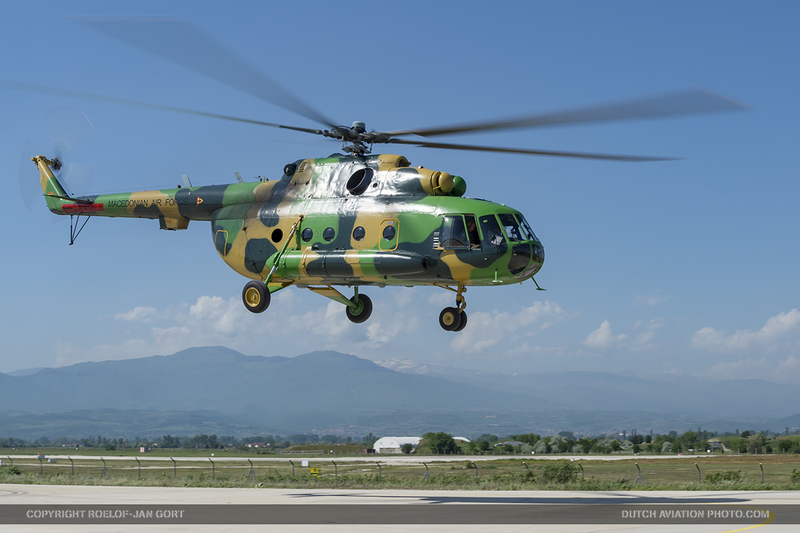 In December 2003 the Macedonian Government awarded Elbit a US 2 million contract for an upgrade of two Mi-17 and two Mi-24V helicopters. 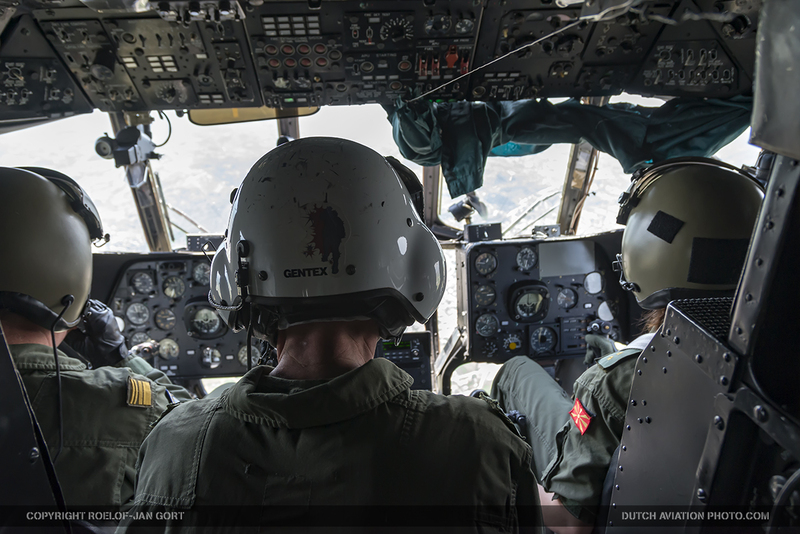 The helicopters have been upgraded with the Aviators Night Vision Head-Up Display (ANVIS/HUD) System, a helmet mounted display. 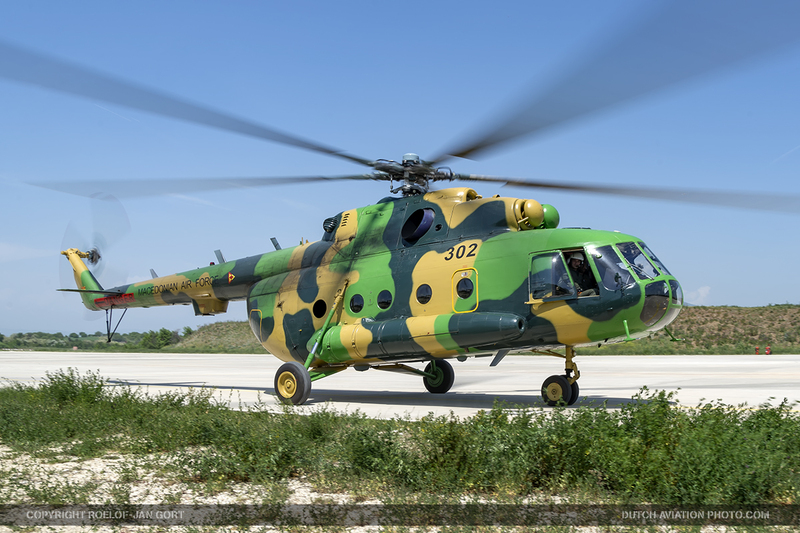 By equipping its aircraft with this system, the Macedonian Air Force became one of the very few operators of night-operation Mi-24 helicopters worldwide, even before NATO-member countries Poland, the Czech Republic, Hungary, and Bulgaria. 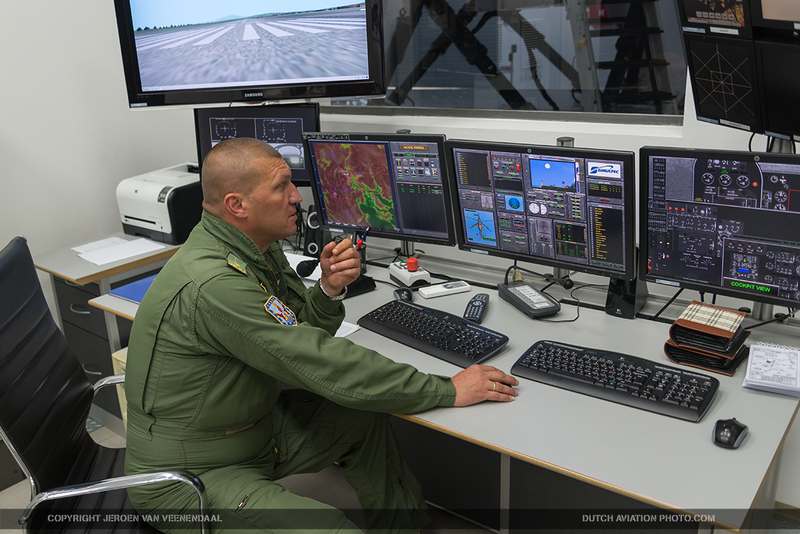 All four aircraft involved in this modernization are now operational again and have redesigned cockpit layout, adapted for night vision goggle (NVG) operations, and are also equipped with ANVIS/HUD System. 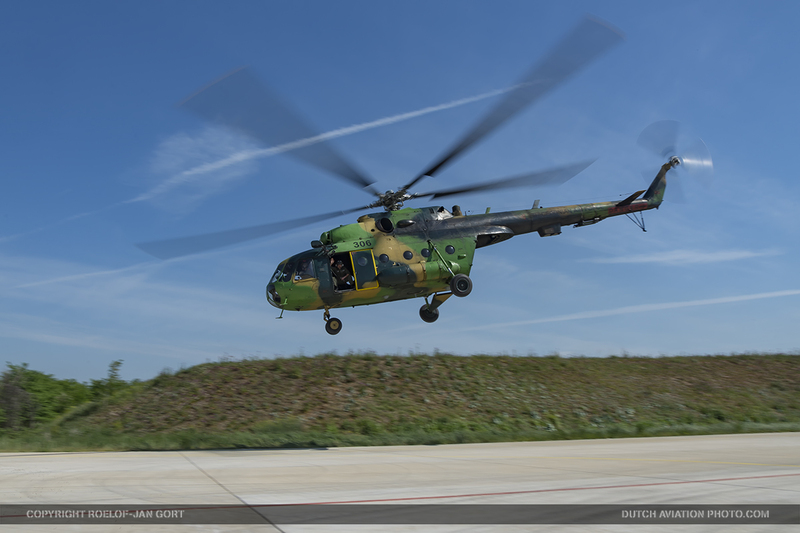 According to Colonel Malezanski, there will be a second stage of upgrade for the two Macedonian Mi-17s that were involved in the first stage: “The second level will include an ILS (Instrument Landing System), a moving map, a mission computer with multifunctional displays and a new type of radio for communication.” The new Talon radios and secure communications are also important as Macedonia wants to join NATO, but in order to be compatible, have to adopt NATO standards for communication. There are also plans to equip the helicopters with chaff and flares, as they are now lacking countermeasures. For now, NATO membership is not in sight. Macedonia’s budget for the entire ARM was just over Euro 91.5 million. While this looks impressive, it’s just 1.09% of the Macedonian GDP, and NATO requires members to spend at least 2% of their GDP on defence. Budgets are always an issue with the air brigade. The current transport fleet is estimated to be able to operate for 7 more years in its current condition. After that, it will be hard to conduct maintenance, and a replacement will have to be in place. Until then, there are a lot of uncertainties when it comes to the equipment, also because it is hard to foresee the future. 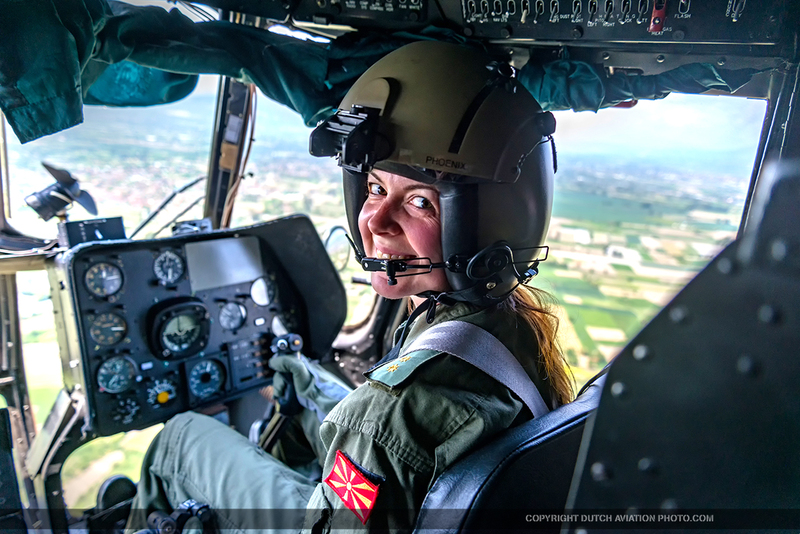 The Air Brigade s very depending on membership, but will Macedonia join NATO? Aeronautica & Difesa 372 October 2017. Article and 11 images. Aerospace & Defence Korea 2017-11. Article and 19 images. Air Forces Monthly 2017-08. 3 images. Siivet Finland 2017-05. Article and 4 images. Vayu India 2017-06. Article and 3 images.